Home / Blog / Personal Injury / Do I have a case? Most people today searching the internet for legal advice have a common theme…”Do I have a case?” While the internet has certainly become a great tool for nearly every profession, including the legal profession, it is not the proper resource for determining whether or not you have a legal case. This is because each case is unique, and nearly every single case depends on the specific unique facts of that particular situation. In most legal situations, there is no “one size fits all” answer to this seemingly easy question. If you feel that you may have a legal case, the appropriate process for determining if you have a valid legal case is to contact an attorney and discuss it with him or her. He or she can ask you for the necessary information to determine whether you have a case, appropriately analyze and discuss with you the necessary criteria for establishing a legal cause of action, and discuss the process for pursuing the claim with you. And it is important that you do this as soon as possible, as most legal claims must be pursued within a certain amount of time or are forever lost. 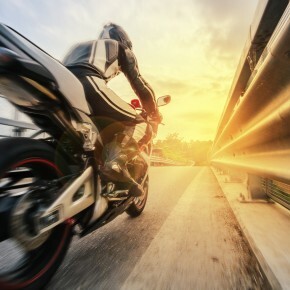 If you or a loved one has been injured in a motor vehicle accident, trucking accident, motorcycle accident, slip and fall, or due to medical error, contact us at 419-241-5500 or email us. We are happy to speak with you and discuss your case with you. If you have a case, we will help get the restitution you deserve with our 40+ years of experience helping injured victims in Ohio achieve great results.